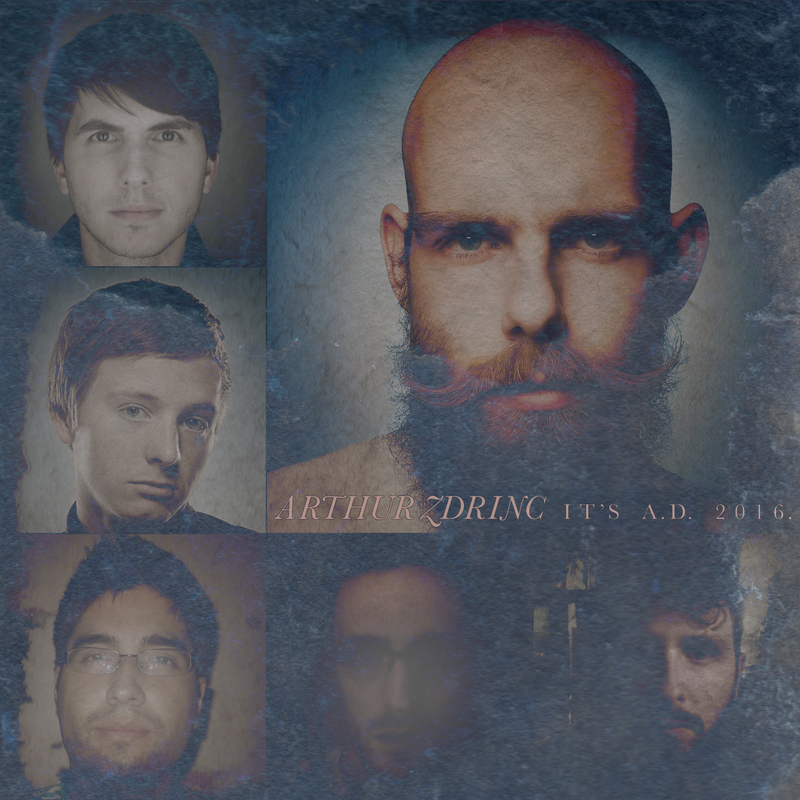 Arthur Zdrinc, member of the Chicago band Sioum, releases his solo debut album titled ‘It’s AD 2016’. This album is a real fine way to kick off the 2013 Record Of The Week on Fade To Yellow. Its a nice mixture of field recordings and stark musical passages. The music comes via mostly guitars and piano and various other electronic sound generating equipment. A lot of thought has gone into this release and he has collaborated with various artists on each of the tracks, most of these artists are from the Endless Fields Studio music collective. There are certainly plenty of dramatic sounds with the tracks and nice field recordings in the mix, its got a real nice ambient feel to it ,coupled with really nice melodies intertwined in the 8 tracks and coming in at just over 48minutes in length. It really is an album that you should invest some time in, and it is a very rewarding aural experience. “It’s A.D. 2016.” Is a collection of songs that have been on my mind since last year. I worked alongside 5 amazing musicians. I merely brought them my vision, and the various sounds of nature that I collected on my long adventures throughout the northern wastes of Illinois. Each song captures a moment in time. That elusive and deceiving idea. Since the existence of mankind… we have micro managed our transient lives with the use of “calendars,” cylindrical tablets of stone, cave paintings. Whether we carve into stone the significant occurrences during our generation, or Vlog each and every meal we’ve had in the last week. Man is obsessed with retention. And specifically in this age of retentia we live in, the human has astronomical potential for merely perfect retention; Of memories, of thoughts, of ideas, Et Cetera. It’s his story for us all. . .
One historian miscalculates the segments of time he analyzed. . .
And it doesn’t even matter anymore. . .
Or, did it ever matter to begin with? This entry was posted on January 13, 2013, 12:14 pm and is filed under Playlists. You can follow any responses to this entry through RSS 2.0. You can leave a response, or trackback from your own site.